This story was first featured by the Presidents Group, a network of change-driven BC business leaders who are champions or more accessible, inclusive workplaces. 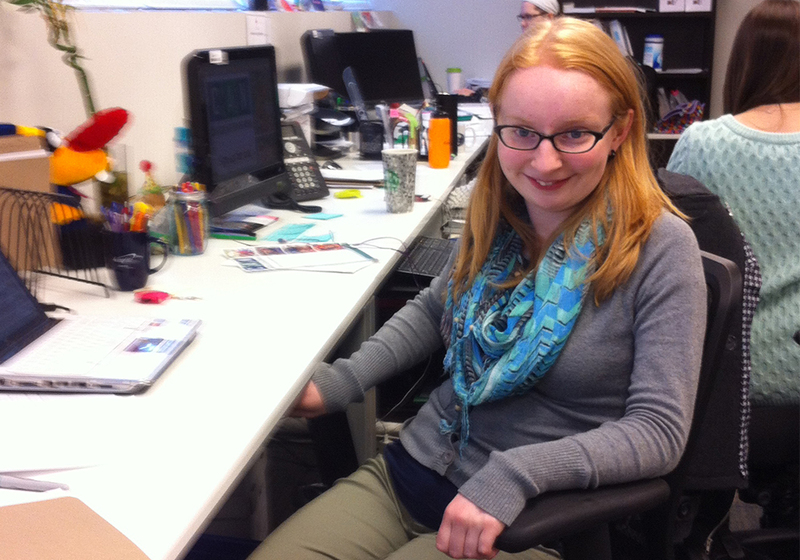 Siobhan Doyle is one of two young adults with autism who works part-time in the CAN office. As a long-time participant who currently accesses CAN youth and young adult programs, she wanted to give back to the organization that had helped her. In turn, she has become an incredible asset to the team. A passionate Vancouver Canucks fan, Siobhan first developed a level of familiarity and comfort with the organization and their staff as a participant. So when her Job Readiness Program at Douglas College tasked her with securing a practicum, she naturally reached out to the CAN office. Like any employee, Siobhan entered her first job with a set of unique strengths and challenges. Joining the CAN office team as an administrative intern, her co-workers immediately recognized her exemplary work ethic. In particular, Siobhan demonstrated a desire and aptitude to perform repetitive tasks that most staff would find monotonous. She was assigned to data entry, photocopying, filing and general administrative duties – all of which she completed with commendable focus. Recognizing the need to ease Siobhan into the demands and nuances of office communication, CAN assigned her with a dedicated supervisor who was able to model proper social and workplace behaviour. Despite being an autism organization, CAN did not make assumptions about the type of support that Siobhan would need to succeed in the office environment. Understanding that she, like any other employee, is a unique individual with her own working style, they asked her directly what would help her succeed. “It was really helpful to have written lists and visual step-by-step instructions on how to complete each task,” Siobhan explained. By providing her with a visual reference in addition to verbal instruction, Siobhan could work independently and refer back to tangible guidelines to confirm the expectations of the task. By the time Siobhan’s practicum came to an end, she was invited to stay in a part-time capacity to continue contributing her skills to the team. Siobhan (middle) also volunteers her time at key events, such as the CAN Family Festival in 2014 (pictured). Among the many roles that she fulfills within the office today, Siobhan is responsible for compiling all coaches’ binders that go out to the 50+ CAN programs on a quarterly basis. Containing participant, staff and volunteer information, curricula, emergency procedures and more, the binder is a critical resource for the success of CAN’s province-wide sports and recreation programs. When Siobhan isn’t occupied with administrative tasks in the office, you can catch her discussing her favourite Canucks players, reminiscing the most recent softball game (she plays on the office’s rec team), or inviting her co-workers out for a coffee run to Starbucks. By investing additional time in Siobhan’s training, CAN was not only able to uncover her innate capabilities, they were able to benefit from her incredible work ethic, dedication and skill set. After nearly five years of working in the office, it is clear that Siobhan is a loyal and motivated employee who is delighted to be contributing to the overall success of the organization. 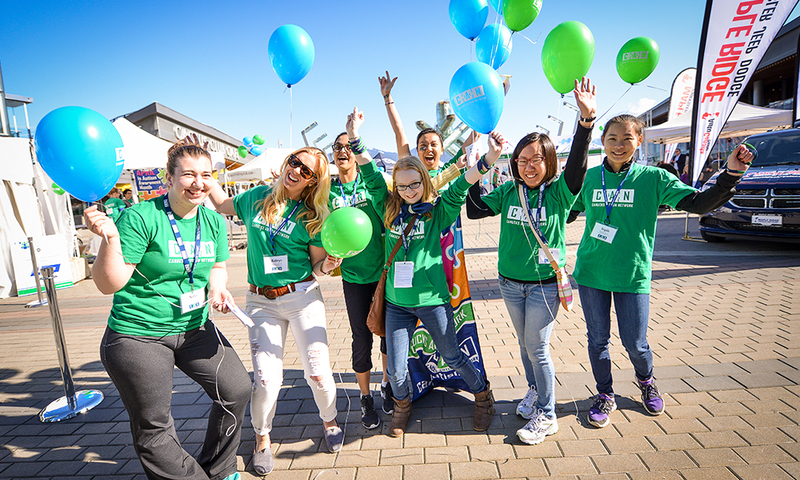 Canucks Autism Network is proud to have followed the lead of other inclusive employers and hopes that more organizations continue to pave the way towards workplace diversity.